Located in the center of Shandong peninsula, Weifang National Hi-Tech Industrial Development Zone was established in 1992 as one of the first batch of national high-tech industrial zones. With an area of 110 square kilometers and a population of 271,000, the zone is a political, economic and cultural center in Weifang, as well as a highland of sci-tech innovation and an engine for scientific development. It has been designated as an advanced unit for its 20-year effort in constructing national high-tech industrial zone. 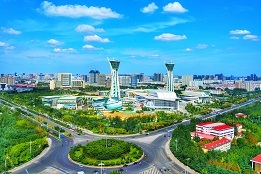 It is now working on the construction of a national innovation science park, a national pilot park of intellectual property, an experimental zone for sustainable development, a model area for national innovation-driven high-tech industrial zones, and a demonstration base for China (Weifang) innovation and entrepreneurship incubation. It also contributes to the construction of the National Self-dependent Innovation Demonstration Area in Shandong Peninsula, and takes lead in regional growth. 1. Promoting high-tech industries. The zone has set out the innovation-driven development strategy, which focuses on industries of auto equipment, acoustic photoelectronics, life health, software information and new materials, and develops 3D printing, mapping and geographical information, e-commerce, big data, cultural innovation and marine technology. In addition to 115 high-tech industrial companies (14 listed), the zone has nine national and 17 provincial featured industrial bases. 2. Excellent innovation and entrepreneurship environment. The effective administrative service center of the zone has pioneered to simplify the approval for enterprise registration. The municipal administrative service center is also located in the zone. The zone highlights complete innovation platforms, with one national quality testing center for internal combustion engine, two national engineering research institutes, two national enterprise technology centers, three national engineering labs, nine public technology service centers, 32 provincial enterprise engineering technology research centers, two national sci-tech cooperation bases, 17 industrial alliances, 11 academician workstations, and seven postdoctoral workstations. In addition, the zone provides strong financial support with 142 financial agencies and a 260,000-square meter sci-tech finance park. It aims to gather Shandong’s financial resources by setting up government venture capital guiding fund, industry development fund, and venture capital fund. Moreover, the zone enjoys rich talent resources thanks to its geographical location, which is close to 17 universities. It has built the province’s first HR service park, experts’ apartments and doctors’ club. It now has 26 experts under the 1000 Talent Plan, 38 “Taishan industrial leading talents”, and 18,000 professionals, becoming a national demonstration base for innovative talent cultivation. 3. An international city with pleasant living and business environment. As an important transportation hub of Bohai-Rim Economic Circle, the zone is close to Qingdao Port, Sime Darby Port, Qingdao Airport and Jinan Airport, and sees five expressways and Jiaoji railway running across. The ecological environment makes the zone one of the top 10 beautiful hi-tech zones in China, with a green coverage of 55 percent. 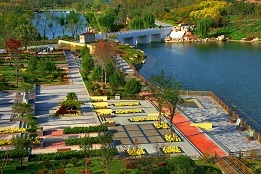 The Zhuoshui cultural park is a national water conservancy park. Residents in the zone enjoy convenient medical services provided by 117 medical institutions such as Sunshine Union Hospital, Weifang Women and Children Health Center and People’s Hospital. Besides, first-class education including 11 primary and middle schools and 30 kindergartens, four star hotels, along with cultural and arts center, museum, Children’s Welfare Center, Fuhua Amusement Park and Good Shopping Mall also contribute to an ideal environment for entrepreneurship and innovation. 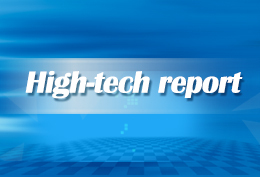 In the future, Weifang National High-Tech Industrial Development Zone will insist on the principle of technology, internationalization, ecology and legalization, and ramp up efforts to accelerate sci-tech development and become a hot spot for science innovation.